Thanks to everyone who came out to support us on Monday night. We can't thank you enough! After *years* of hard work, our landlord finally received approval on Phase 1 of their Eagle Foundry redevelopment plan. You can see some of the renderings at www.millracevillage.com. 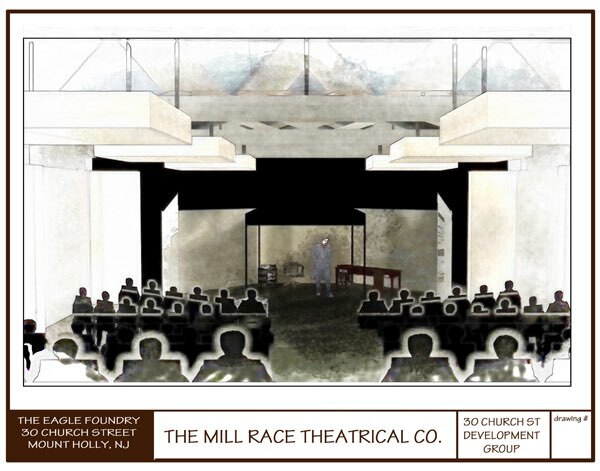 The Mill Race Theatrical Company will resume classes and performances inside our immersive theater as soon as the new foundry inspection is approved. Until then, we’ll see you at The Witches Ball in Mount Holly, then at Scary Stories to Tell in the Dark - October 22nd and Scary Stories to Tell in the Dark - October 29th hosted by Glen Foerd on the Delaware.